In the next few years though, exciting technological breakthroughs will change the way we live, conduct business and run our societies. AI promises to bring about changes that are beyond anything we dreamt of during previous technological revolutions. Unlike the past, AI-driven machines will do the “thinking” work of analyzing, planning, predicting and making decisions, contributing to new roles that we have always considered reserved for human beings. We are still unsure whether AI will eventually lead to a “Star Trek”-like-society, with humans free to spend their lives following more meaningful pursuits. Many are however convinced that AI will lead to mass unemployment and social unrest, eventually leading to a Skynet style elimination of human race. While I do not have crystal balls in the distant future, here are my predictions for 2019. I no longer own my music CDs or movie DVDs, we subscribe to Spotify or Netflix. Among everyday products bought by people, music and videos were probably the first products that signalled the beginning of the end of ownership era. Today, AI platforms are in the midst of turning every manufactured product and services into a connected ‘smart’ product. We have already seen this in transportation and consumer electronics – cars, scooters, washing machines, coffee makers, thermostats, etc. Driven by data captured from smart products; AI algorithms and new business models, the trend to end ownership will accelerate all industries, products or services. We are starting to subscribe to office space (WeWork), housing (Roam, Common), furniture (Fernish), clothes (Le Tote) and, even dog walking (Wag). These trends will accelerate and similar services will start propping up in all walks of life in 2019 and beyond. While AI and ML have been the hot topics, the news has largely been driven by tech companies such as Facebook, Apple, Amazon, Netflix and Google (“FAANG”). Many non-tech enterprises, having created their ‘AI strategy,’ will now focus on solving real-world problems that moved their business metrics. After spending the previous few years on digitization efforts to get their data in order and identifying opportunity areas where AI could bring rewards, enterprises will move ahead with proven initiatives, learning from a pilot, and then soft-launching to global deployment. In this scenario, a retailer focuses on building customer engagement model to maximise omnichannel presence and conversion to sales. Alternately, a churn prediction model will help them get early signals that a customer might be disengaged and may stop shopping altogether, necessitating business interventions to prevent this. Reaping the benefits of digitization and AI, businesses will start using their data to generate new revenue streams. Building up large databases of transactions and customer activities and partnering with adjacent industries can essentially let any sufficiently data-and-AI-savvy business to begin to reinvent itself. For example, a telco can start building models for when a customer will likely buy a new smartphone. Armed with the model prediction, it can partner with phone manufacturers to offer customers a highly customised incentive to enable a transaction – generating revenue for itself in the process. Consequently, we will see the focus shift from “AI strategy” to “AI-driven” results as companies look for real business impact from their technology and people investments. The technology will be less important: the business insights and results delivered will be the key. On the flip side, as AI makes inroads, enterprises will start to realise that AI is an investment for the transformation of their processes, people and culture, and not just a magic tool that can be used to instantly fix inefficiencies. 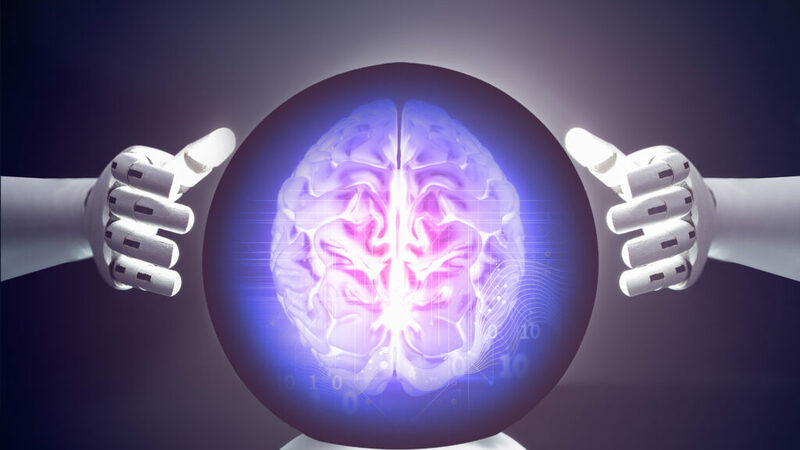 The post AI Predictions for 2019 appeared first on erpinnews.